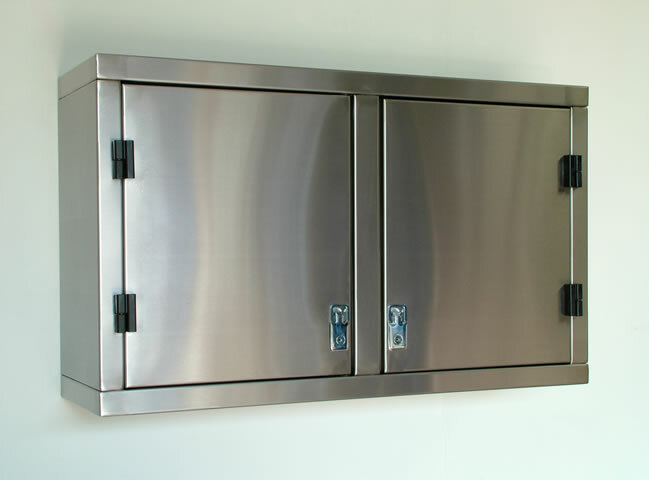 Wall mounted cupboard units are manufactured from 1.5mm thick 304 grade stainless steel and are supplied with hinged lockable doors and a mid height internal shelf. 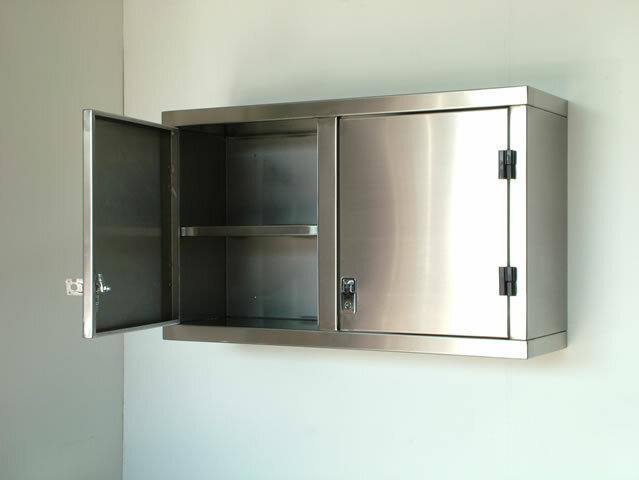 Standard units are 600mm high and 300mm deep and are available for delivery in about 10 working days from order with free packing and carriage to the UK Mainland. Non standard sizes and configurations are also available, delivery time for these is about 15 working days. 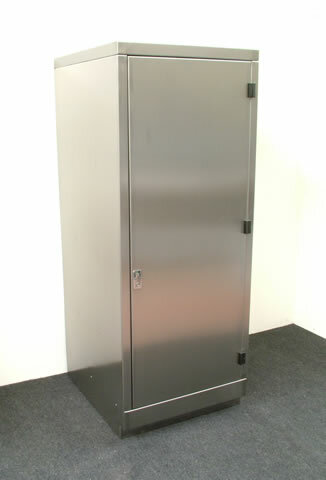 A Large floor standing cupboard unit manufactured from 1.5mm thick 304 grade stainless steel, 700mm wide, 600mm deep and 1800mm high, providing secure high volume storage.The Standard size is available for delivery in about 10 working days from order with free packing and carriage to the UK Mainland. 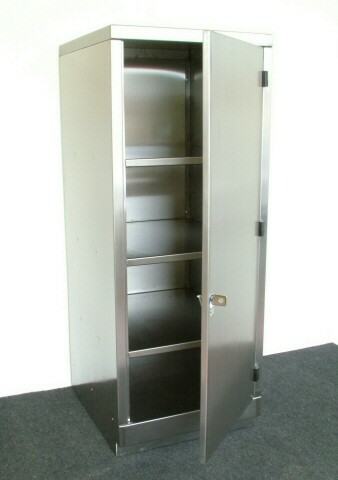 Non standard sizes and configurations are also available, delivery time for these is about 15 working days.